I've been carp fishing for a few years now and had some problems with nuisance species. Particularly bluegills, bullhead, and soft shell turtles. 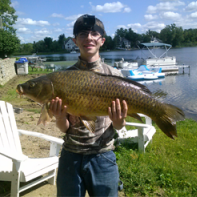 Does anybody know of any bait that carp love but nuisance species don't? It would be greatly appreciated.